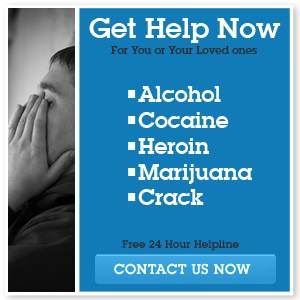 Addiction Helper has both the knowledge and resources to help you overcome alcohol related problems. Whether its binge drinking a weekends, drinking in the evenings after work or when the children have gone to bed, or drinking throughout the day and evening ; we can provide a structured treatment plan to help your overcome your drinking problem and tackle the issues underpinning it. Many who are caught in the binge drinking or regular evening drinking cycle feel that their problem does not warrant professional treatment. Maybe you are still going to work every day, or attending to your family’s needs. Maybe you have developed a pattern of drinking a bottle of wine every night or a few beers before bed, but never exceed this amount or touch alcohol during the day. Perhaps you don’t drink for days or even weeks, but once you start find yourself frequently over doing it or going on a binge that causes pain and disruption to yourself and your family. Or maybe you find that once you have taken a drink your personality changes, you become volatile, aggressive or even violent. The first thing to recognise is that alcohol addiction can come in many forms. You don’t necessarily have to be physically dependant on alcohol to suffer from alcoholism. 1. Once you have taken a drink of alcohol, do you find it difficult or impossible to control the amount you drink? 2. If when you want to reduce your alcohol intake or quit entirely, do you find it impossible to reduce or leave it alone completely? 3. Even after a period of abstinence, and with very good reason not to start drinking again, do you find yourself succumbing to the temptation of drinking once more? If you have answered ‘Yes’ to any or all of these questions, you are probably alcoholic. That being the case, you will need professional treatment to help you overcome your alcoholic problem. What Treatments for Alcoholism Does Addiction Helper Offer? One to One counselling – Addiction helper can arrange for your to see a qualified Alcohol counsellor near to your home on a weekly basis. We can also arrange telephone counselling and Skype session counselling to fit in with work or holidays. Intensive Addiction Therapy – Addiction Helper can arrange for you to receive a bespoke and intensive therapy program near to your home. Each program is tailored to meet your individual treatment needs and work around your commitments. Providing intensive daily therapy and support delivered by a qualified alcohol counsellor. Inpatient Rehabilitation – Addiction Helper has a vast number of rehab clinics in the UK and abroad. We also specialize in providing treatment in South Africa and Thailand. Inpatient rehabilitation is often the most successful root to long term and permanent abstinence, as it provides a safe and nurturing environment and your treatment will be delivered by a team of qualified specialists.